1. Make sure that SendPress Pro is installed and activated. 3. Fill out the information. It will look like the screenshot below. 5. 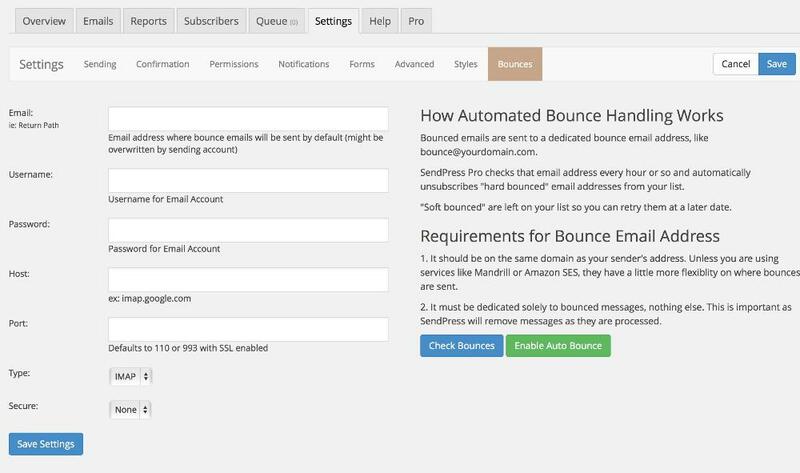 If successful, click "Enable Auto Bounce" to have it check automatically. 6. If not successful, adjust settings and repeat Step 4.